In last week’s Saturday Sessions episode David Browning and E3 Motorcycles got their hands dirty with breaking down and reconditioning the Honda CB550. The first round of replacement parts is now on the way. So this week we’re moving on to frame and metal preparation, via sand blasting and powder coating—and starting work on the suspension. That’ll be next week. 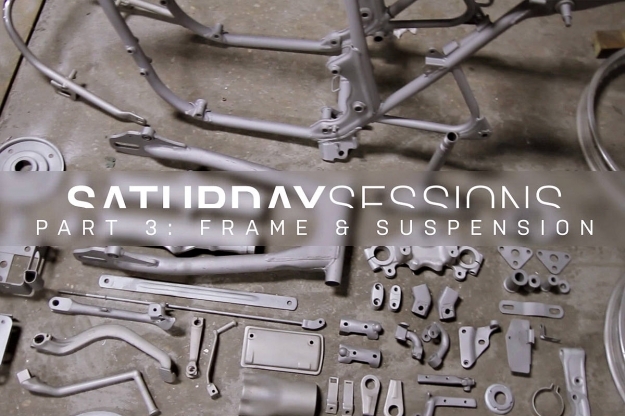 In the meantime, hit play and see how E3 have brought the frame back to showroom standard.